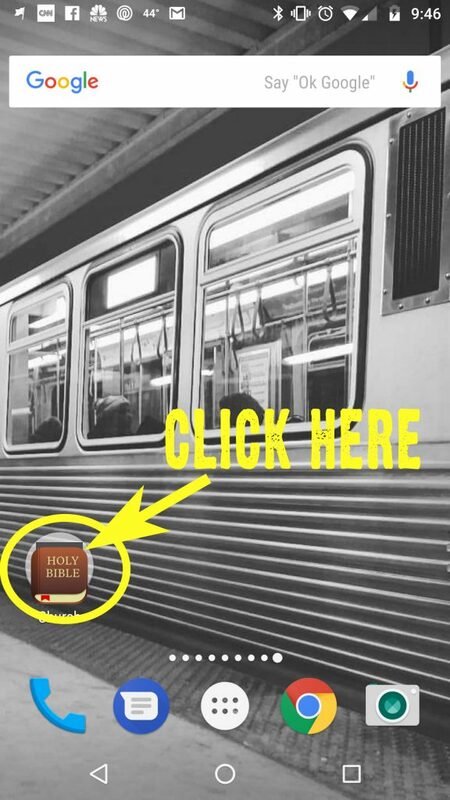 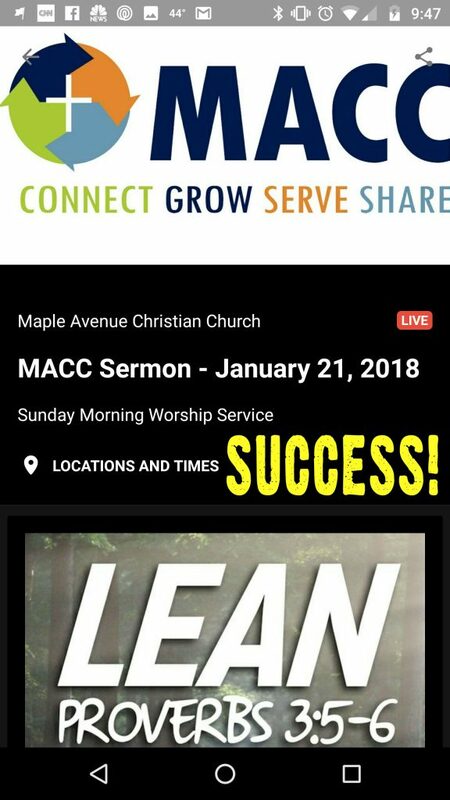 You can now follow along with the sermon each week on your phone or tablet! 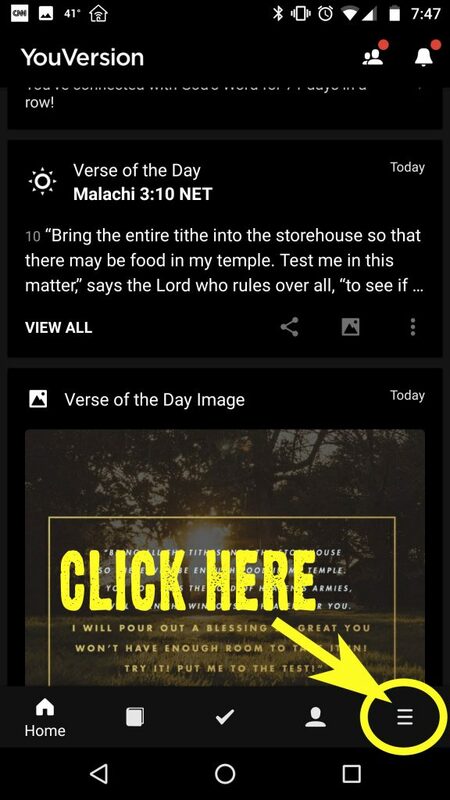 Once you have installed the Bible App from YouVersion, this series of screenshots should help you find your way to the MACC sermon notes. 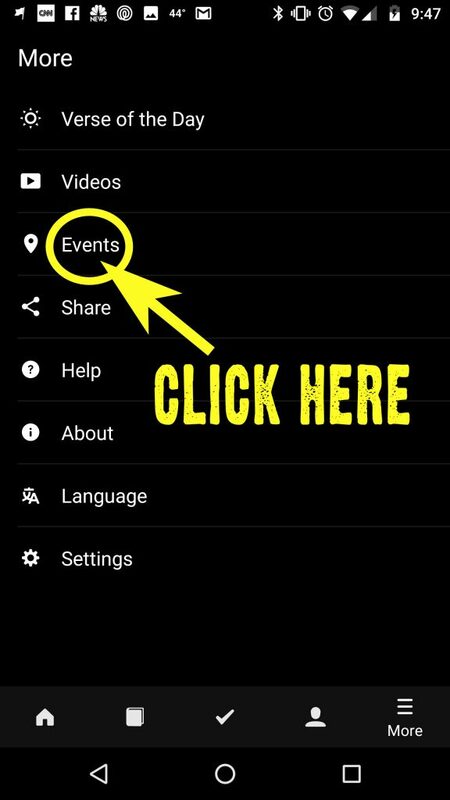 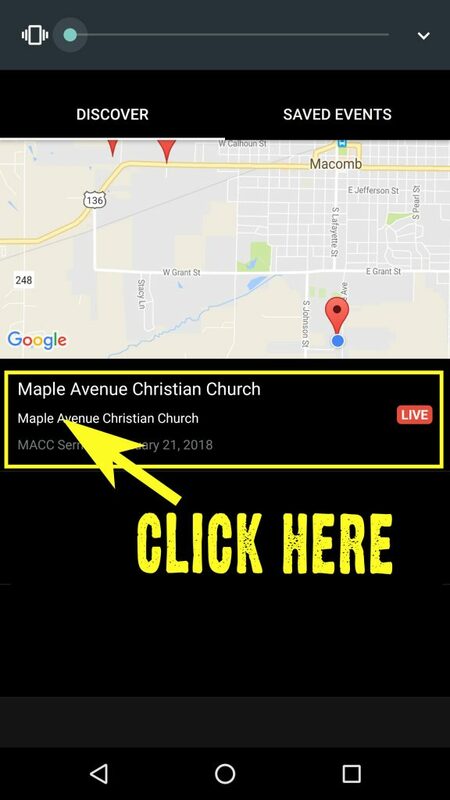 Just open the app, click the More menu, choose Events, select Maple Avenue Christian Church, and you’re there.